Rory Cellan-Jones takes a look at Android, the new mobile phone platform launched by Google. 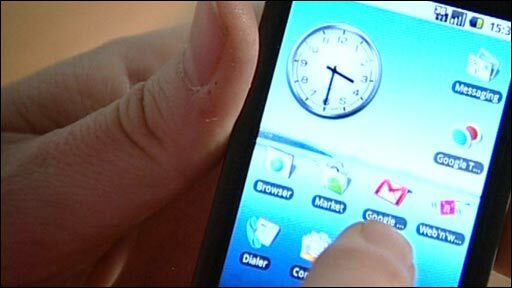 The first mobile telephone using Google's Android software has been unveiled. The first device to run the search giant's operating system will feature a touch screen as well as a Qwerty keyboard. Other features include a three megapixel camera, a 'one click' contextual search and a browser that users can zoom in on by tapping the screen. The handset will be wi-fi and 3G enabled and has built-in support for YouTube. Users will also have access the so-called Android Market, where they will be able to download a variety of applications. 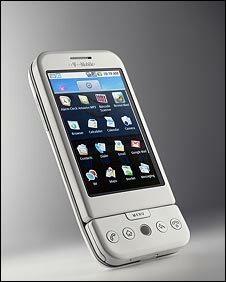 Google announced its plans for the Android phone software in November 2007 with a declared aim of making it easier to get at the web while on the move. To help develop Android, Google also unveiled the Open Handset Alliance - a partnership of more than 30 firms that would work to make phone software easier to work with. The group includes operators such as Telefonica, handset makers such as HTC and Motorola as well as chip makers such as Intel and Qualcomm. Many of the partners demonstrated early prototype Android phones at the Mobile World Congress held in Barcelona in mid-February. The idea behind Android is to do for phone software what the open source Linux software has done for PCs. Developers of phone software can get at most of the core elements of the Android software to help them write better applications. However, in launching Android, Google faces stiff competition from established players such as Nokia with its Symbian software and Microsoft with its Mobile operating system. More recently Apple has been gaining customers with its much hyped iPhone. The Android software is squarely aimed at the smartphone segment of the handset market which adds sophisticated functions to the basic calling and texting capabilities of most phones. Current estimates suggest that only 12-13% of the all handsets can be considered smartphones.